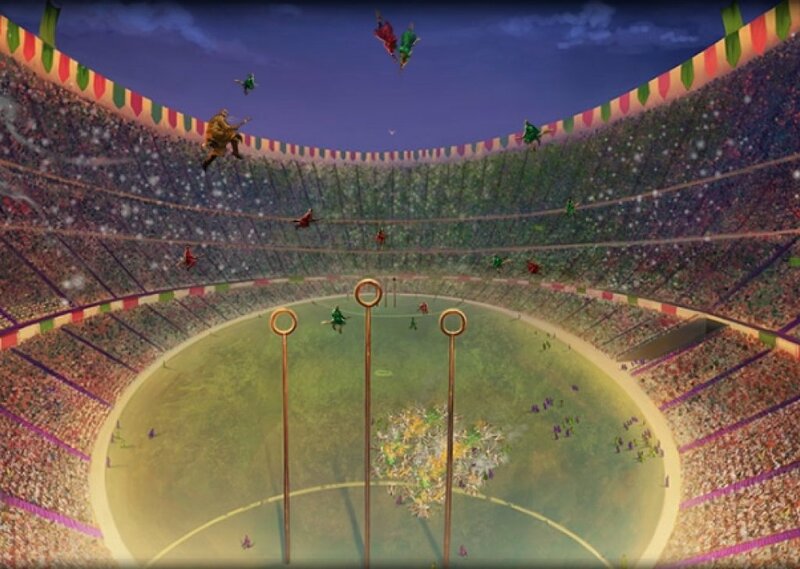 You are lucky enough to get tickets to the Quidditch World Cup. The crowd is going wild as your two favorite teams go head-to-head in this legendary game. You can hear players swoosh by on their brooms as they toss the ball back and forth. You can hear the beaters smacking the bludger away from the other players. If you listen carefully, you can hear the snitch flutter by you occasionally. The seeker is patient though and waits to catch this ball until the right moment. Also, be careful because you don't want to get caught in the crossfire of spells that wizards are sending across to the opponent's fans. Comments for "The Quidditch World Cup"
License details for "The Quidditch World Cup"